At the time of Petra 's retirement at the end of 2005, the future was unclear for Bob and John. 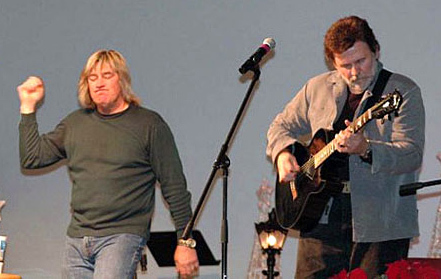 Both were pursuing other ventures outside of the music business when Bob received an invitation from Canada to lead worship for a youth retreat. Bob immediately thought of teaming with John, much to thedelight of the sponsors. As Bob began arranging popular worship songsfor the duo to perform, it became obvious that it wouldn't be much harder to make an album together. 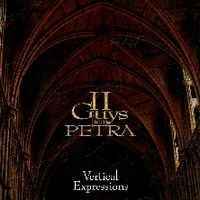 So the two began work on Vertical Expressions, their first album as a duo. After several months of work it was time to christen the new venture. Should they call themselves Bob and John... or Schlitt and Hartman? They elected to call themselves what they suspected people would call them inevitably... "Oh... that's two guys from Petra "!